Escherichia coli (E. coli) is the most widely used expression host for recombinant proteins due to high expression yields and straightforward molecular cloning. 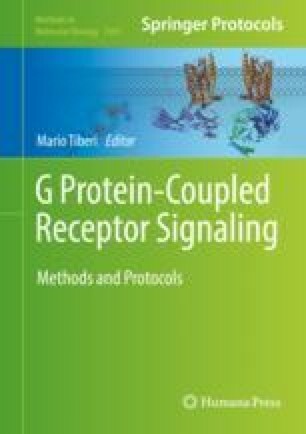 Directed evolution of G protein-coupled receptors (GPCRs) has made several of these difficult to express membrane proteins amenable to prokaryotic expression. Here, we describe a protocol for near complete 13CH3-methionine labeling of a thermostable neurotensin receptor 1 (enNTS1) variant in E. coli for solution NMR-based dynamics studies. Our expression strategy utilizes methionine biosynthesis pathway inhibition forcing E. coli to incorporate exogenous methionine with 96% efficiency at expression levels of 2.6 mg enNTS1 per liter of expression culture containing 50 mg of 13CH3-methionine. We also provide a 3-step purification protocol that produces final yields of 0.6 mg of functional Apo-state enNTS1. This work was supported by NHMRC project grants 1081801 (D.J.S.) and 1081844 (R.A.D.B., P.R.G., D.J.S. ); ARC equipment grant LE120100022. D.J.S. is an NHMRC Boosting Dementia Research Leadership Fellow. R.A.D.B. is an NHMRC Senior Research Fellow. Studies at The Florey Institute of Neuroscience and Mental Health were supported by the Victorian Government’s Operational Infrastructure Support Program.